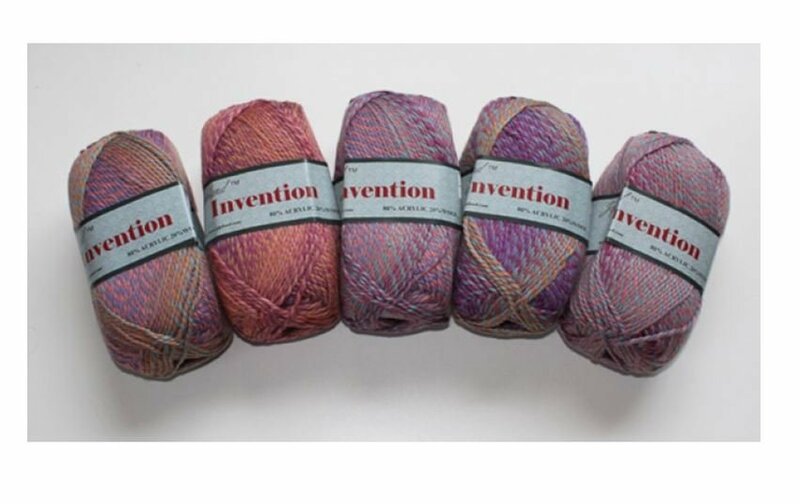 Invention is a wonderful, self-striping yarn made of 80% acrylic and 20% wool. 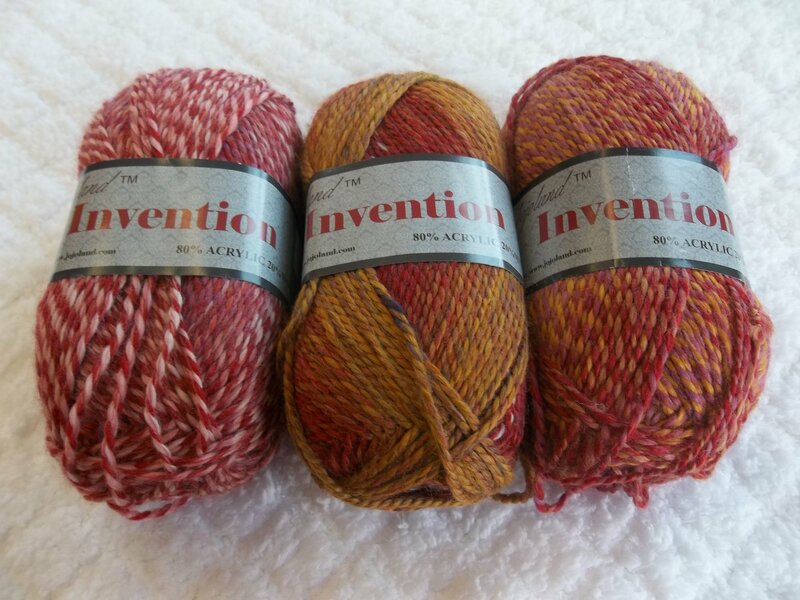 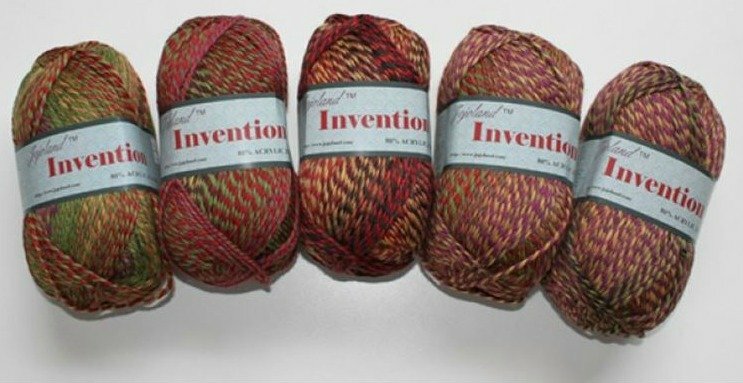 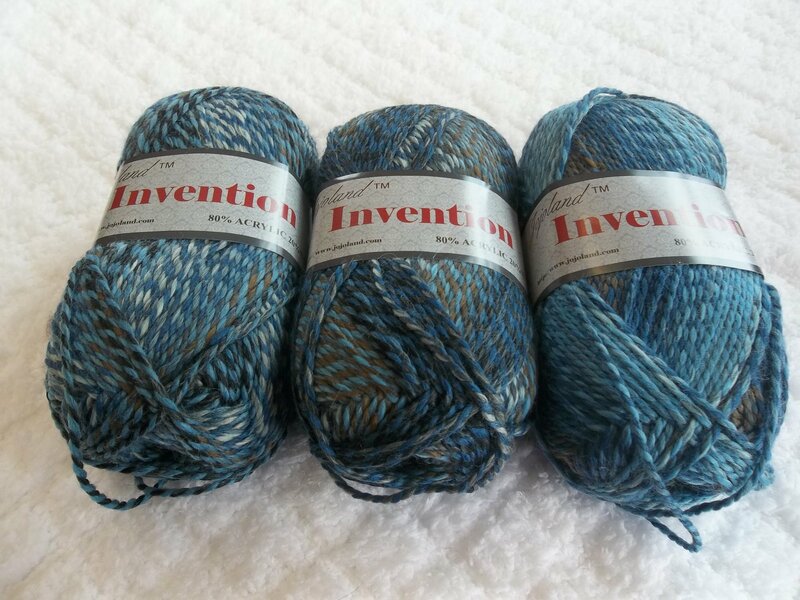 Invention is a worsted weight yarn with a recommended needle size of US 7-9 needle and a gauge of approximately 16 to 20 stitches for 4 inches. 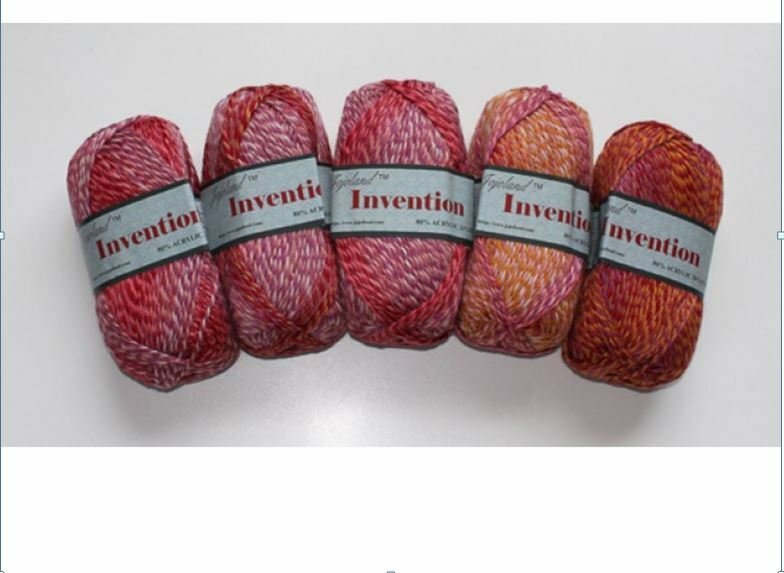 Crochet hook I or K is recommended. 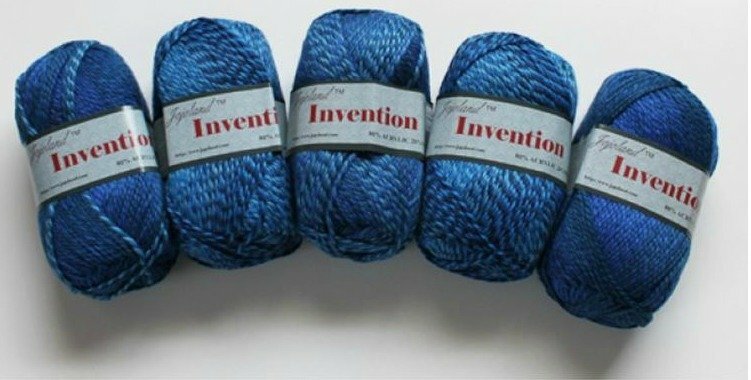 Machine wash and tumble dry low.